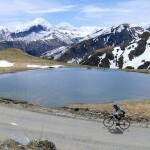 The high Alps cols are starting to open – woohoo. 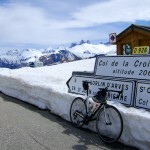 It can be fun to climb a col just as it opens, as usually a little snow is still around. This was my first time above 2000 metres this year (2067m), hopefully not the last. 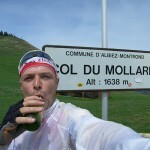 I won’t talk too much about the route as last year I wrote a post mapping and detailing all five ways up to Col de la Croix de Fer – including 2 via Col du Mollard and one via Col du Glandon. 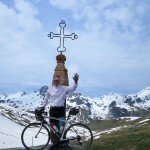 The top photo (and one below) is of a French gentleman who passed me near the summit of Col de la Croix de Fer. At the Col I gave him my email address and said I might have a couple of good photos of him. I hope he contacts me. I took the lesser known of the two ways up to Mollard. A very quiet, fun road, with plenty of hairpins. 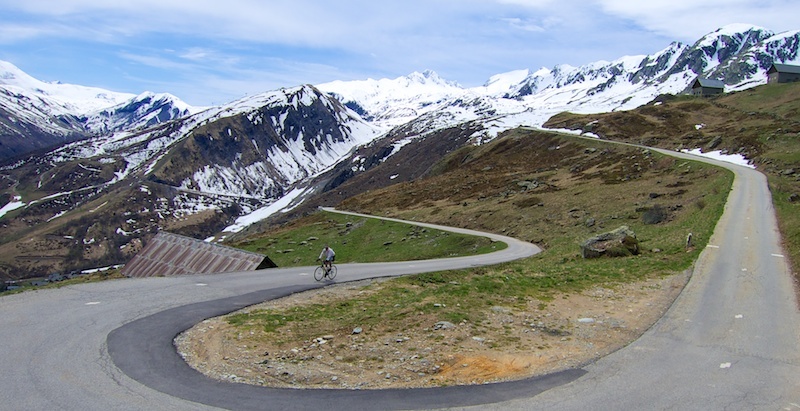 I prefer either of the two Mollard options versus the classic direct way up Croix de Fer as they are quieter, have many more hairpins, have an extra col, and avoid climbing through three (well lit) tunnels. 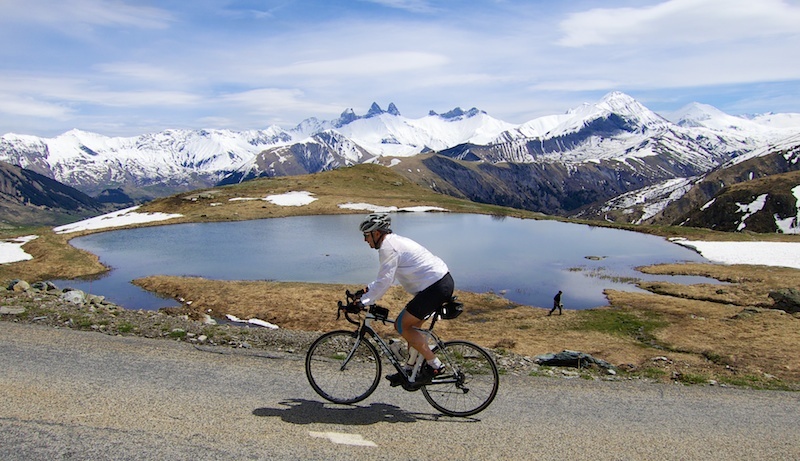 After descending from Col du Mollard and rejoining the main road, it’s easy for a while and then this side of Col de la Croix de Fer really shines for the last 5 truly beautiful kilometres above Saint-Sorlin d’Arves. 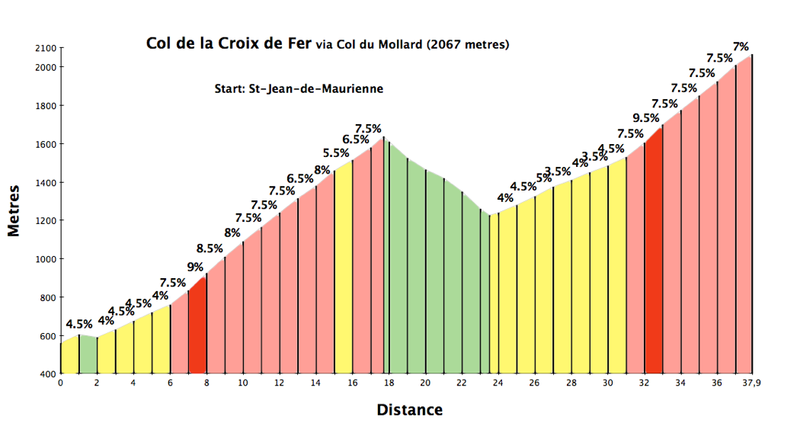 So I just doubled back, but instead of returning to Mollard, I took the classic way down Croix de Fer back to the start. My goodness, below Saint-Sorlin d’Arves the road surface is appalling for a few kms. I went very slow with my eyes firmly on the road. But after Belleville the surface improves and it’s a fun fast descent. Just want to say thanks Will for your excellent, inspirational site, incredibly useful for planning our week of Col climbing in the Alps. Yesterday we climbed the Croix de Fer via the unending hairpins route to Mollard. There are fresh gravel repairs on the descent of Mollard that made it rather stressful. The other highlight was the Cormet de Roselend from Bourg-St-M, a truly beautiful experience. Well done Matt – two great climbs. Glad the weather was good for your trip. Yeah, gravel repairs make things tricky descending.